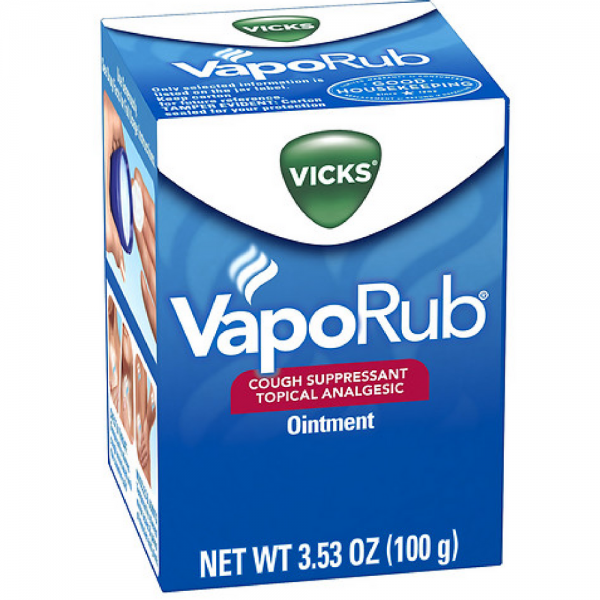 Vicks VapoRub Cough Suppressant Topical Analgesic Ointment - 3.53 oz. Vicks VapoRub Cough Suppressant/Topical Analgesic, Ointment, 3.53 oz. 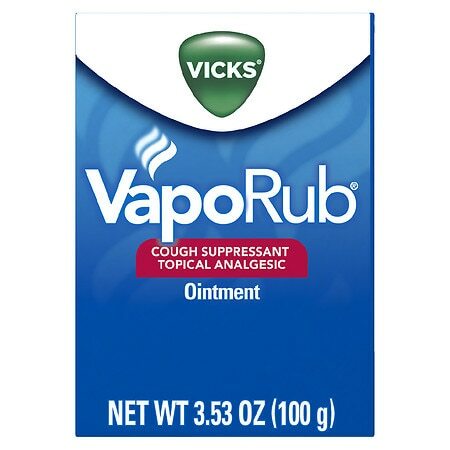 Vicks VapoRub Cough Suppressant Topical Analgesic Ointment 3.53oz. 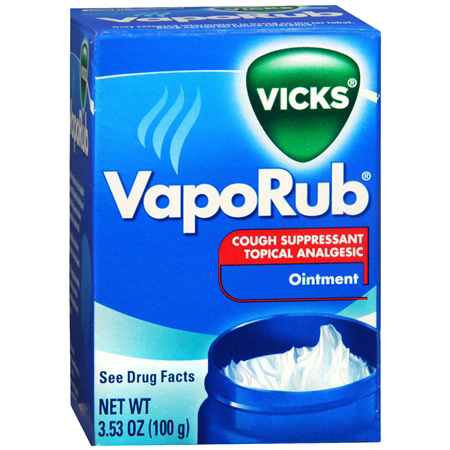 Vicks Cough Suppressant - Topical Analgesic Ointment - 100 g.